Diwali/Eid bash3: Your SWEET Celebrity! Are you all enjoying the festive season in CFC? Wait wait, we have a couple more things lined up for you all! Everything will be up by tomorrow! Now, the subject says your SWEET celebrity! how did I know your favorite celebrity is sweet? Well, its because all mithai's are berryyy sweet, hai na? what mithai resembles your celebrity the most? is it roshogulla? gulab jambun? kaju katri? ....??? also, do tell us WHY your celebrity resembles this sweet sweet mithai..
if possible put a picture of your celebrity and the mithai that he/she resembles the most! Chalo aao, sab mu meetha kar ke jao! Awesome post once again, Khairu! My Chosen Celebrity is, of course, my husband, Pulkit Samrat . Well, I think the mithai, ladoo, resembles him the most! He reminds me of ladoo the most, because to make ladoo, you have to go through a lott of steps to make them taste sweet. Pulkit works all day and half a night to show us his show. We know how much he works by personally talking to him. 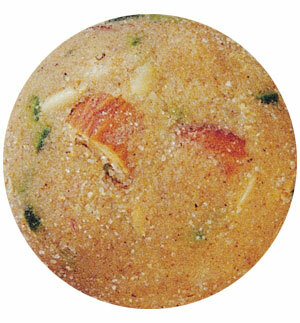 Compare your celebrity and if possible put a picture of your celebrity and the mithai that he/she resembles the most! also, do tell us WHY your celebrity resembles this sweet sweet mithai..Well..to telll you the truth I dunnooo..Mostly because he is soo sweet.haha and he's the same color as it ! !jkjk...but yeah.For some reason.That's just the sweet he reminds me of! woah, the cutie is as cute as gol gol laddoo! nice comparison Sweta!! Nice... I'll try to post my answers soon! I think that Gulab Jamun describe SRK the best as... firstly he is as sweet lookig as a Gulab and secondly he has such a nice and caring interior...an example of this was when he said that he would help the family of the person whom got shot at his house...also I think that SRK truly is an embassidor for Bollywood and so is Gulab Jamun for India! Will definately post pics later!